Boulder Station is conveniently just minutes away from the Las Vegas Convention Center. family friendly activities, exciting casino gaming, and top-rated restaurants. Stay and play with us to find out why for yourself! 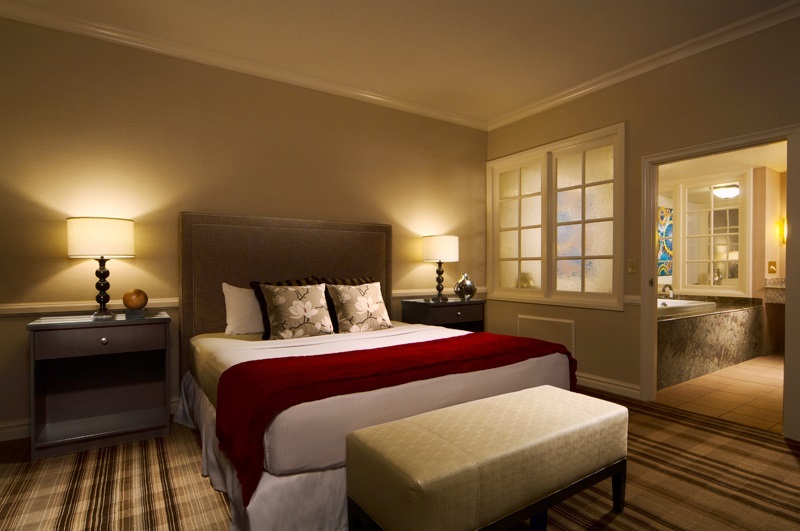 Recently renovated, our Deluxe King hotel rooms are prepared to pamper you in luxurious comfort. These rooms are the ideal combination of comfort and value, featuring 300 sq. ft. of living space and equipped with all the latest amenities, like 37” HD TVs and refrigerators. Each of these beautifully appointed rooms comes styled in modern décor, and serves as the perfect getaway destination for your next trip to Sin City. 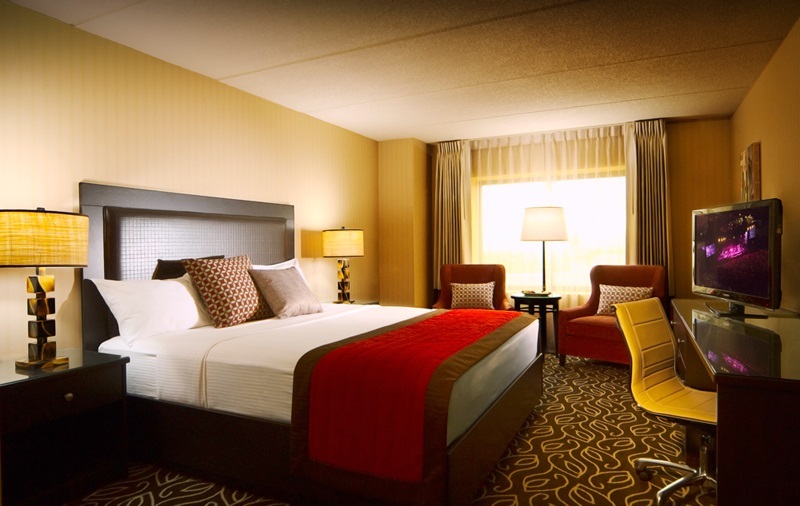 Whether you want a smoking or non-smoking room, we’ve got you covered. 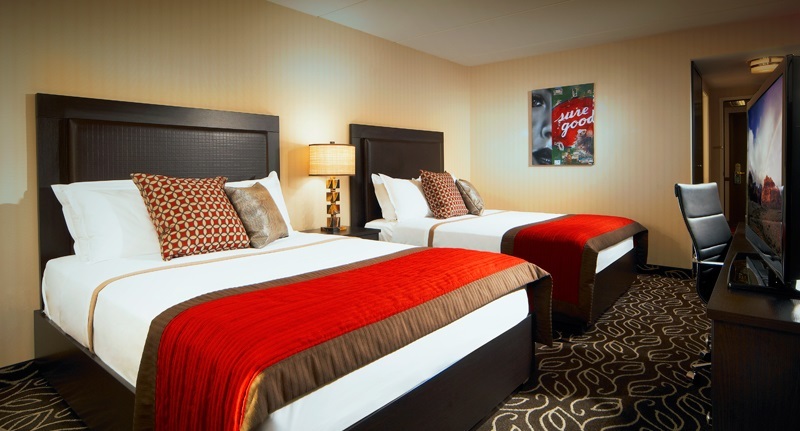 Similar to our Deluxe King rooms, but offering dual queen beds instead, these rooms are also 300 sq. ft., equipped with 37” HD TVs and refrigerators, and styled in modern décor. First-timers excepting cheap accommodations are typically blown away by our rooms, while savvy veterans and locals alike have good reason to keep us at the very top of their list of favorite destinations. Find out why the locals love us so much by booking your next stay right here at Boulder Station! Want to spread out? Enjoy the space offered by our 900 sq. ft. King Suite, featuring a king bed, large living room area, separate dining room, 37” HD TV, refrigerator, three-quarter bath with dual vanity and Jacuzzi tub, plus a separate half-bath and wet bar. We may be known as the best discount hotel in Las Vegas, but we pulled out all the stops when designing our King Suites. 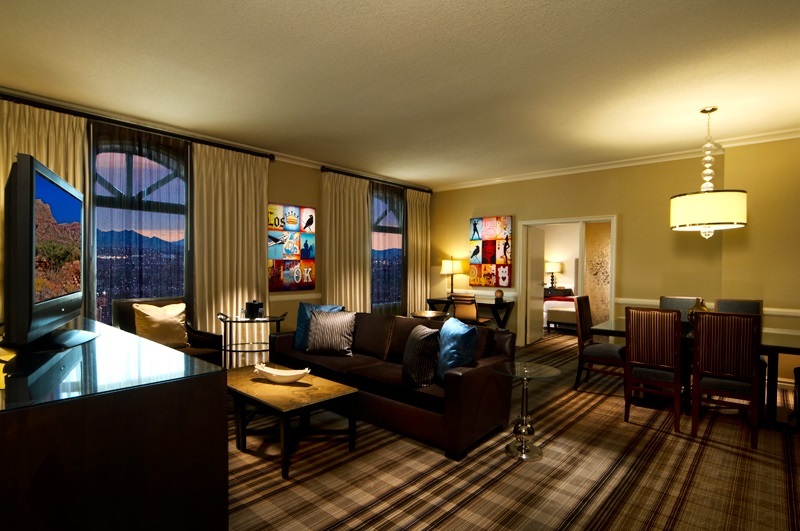 If lavish luxury is your thing, you’ll feel right at home here in the King Suite. To maximize the value of your stay, be sure to check out current hotel packages, promotions, and deals. Bundle up your room rate with gaming, dining, and entertainment options, and you’ll end up with one of the cheapest rooms in Las Vegas without having to sacrifice in the quality of your stay. Our discount hotel rooms may be cheap, but they’re loaded with amenities and finely appointed. On our next trip to Sin City, be sure to skip the Strip and save your dollars for other pursuits! Each of Boulder Station’s rooms comes standard with a refrigerator, On-demand pay-per-view movies, high speed Internet and WebTV, plus unlimited domestic long distance and toll-free local calls. All guests have access to our new self-service laundry facility on the third floor of the hotel tower, so feel free to stay a while! Ready for a refreshing dip? Escape the sizzling sun and head out to our beautiful pool. Don’t worry about bringing the kids – we’re sure they’ll beat you there. To reserve an ADA-accessible room, please call our reservations department 24 hours a day, 7 days a week at (855) 306-1126 (direct dial), (855) 815-2742 (TTY).